Don’t Miss This Exciting Opportunity to Learn All About Stem Cells Free of Charge. Simply fill out the form below or call our office at (970) 658-5111 to reserve your seat(s). Q. How are regenerative cells collected? A. Our Regenerative Cell Treatment is a revolutionary breakthrough treatment option for people suffering from inflammation, reduced mobility, sports injuries, tissue and ligament damage, or chronic pain. Regenerative Cell Therapy is an injectable regenerative tissue matrix solution, that often times leaves the patient feeling relief after only ONE treatment. This cutting edge treatment takes the best components from all the current non-invasive treatment options and puts them into one. This Regenerative Cell Treatment is collected from mother’s who have donated their placental tissue after delivering a child by c-section birth. Q. Is regenerative cell therapy safe? Q. Is more than one treatment needed? Q. What determines the outcome of my regenerative cell therapy? Q. Is there anything else I can do to increase the effectiveness of my therapy? Q. How much downtime should I expect after regenerative cell therapy? Q. How long does the repair process take? Q. How often does the procedure work? Q. Can the procedure fail? Q. 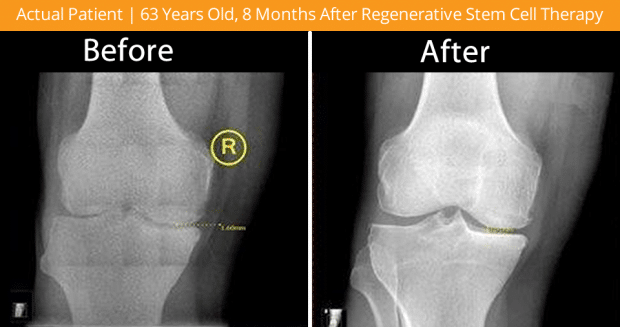 If the regenerative cell therapy does not work can I still have surgery? or call us at (970) 658-5111 to reserve your seat(s).